I recently had the opportunity to be a guest blogger for Stephen at Page the PA – he is a rock star on Instagram sharing his experiences as he goes through PA school. He is doing his ICU rotation soon, so I thought I would tell him a few secrets from this veteran ICU nurse! Please connect with him on IG @PagethePA and tell him I sent you!! When most students, rotate through the ICU, they literally enter another world in health care. Whether they are new residents on service for the month, PA students, medical students or nursing students, the ICU experience is like no other rotation. Sure, you may have seen a few sick folks, but ICU patients take that to a whole new level. It’s a smorgasbord of problems – all in one human fighting to survive. It’s the land with more devices, tubes and drains than any human should have to endure. But, there is nothing like caring for a patient with multiple, often competing problems. The challenges are endless and the environment is often fast paced and demanding. But for a visiting student, it is certainly intimidating. So, here’s a few tips from this 20-year ICU nurse that will hopefully make your experience a smooth one and ultimately make you want to come back for more! For the third straight year, nurses are planning to meet on the lawn of the U.S. Capitol in Washington, D.C. The Nurses Take DC event will be held April 26 and hopes to again raise public awareness regarding safe nurse-patient ratios, meeting with legislators to discuss nurse staffing and to support pending legislation. The 2017-2018 flu season is breaking all records. The Centers for Disease Control and Prevention (CDC) noted that the “overall hospitalization rate is higher than the overall hospitalization rate reported during the same week of the 2014-2015 season; the most severe season in recent years.” The most recent CDC report showed an additional 17 flu-related pediatric deaths, bringing the total to 53 this season with little relief in sight. So, I had the honor of being chosen to be interviewed by Elizabeth Scala for her Your Next Shift Podcast! Yes, someone other than my family and students wanted to hear what I have to say…crazy!! I have been a fan of Elizabeth since I started blogging. She is out there and really trying to change the “Negative Nancy” atmosphere of our workplaces. Her whole intention is to help nurses be the best nurse and human they can. She helps nurses open their eyes to other opportunities and helps them shift to take steps to more contentment and happiness professionally. Her podcast is a great collection of nurses who are out there shifting their professions. It truly is a collection of inspiring nurses who are putting themselves out there for good changes in our profession. I HIGHLY suggest you take a few minutes and take a listen to a few – I guarantee you will be inspired! So, if you have 20 minutes to spare – go give a listen and learn a little bit more about me! Thanks for taking the time to go listen & please share with your friends- we can all use a little positive shift in our careers! As many in the nursing world, I have been mildly obsessed with the unlawful arrest of Nurse Alex Wubbels. In hospitals around the county, there is a brotherhood and camaraderie between our law enforcement officers and health care workers, especially nurses. We all are literally on the front line of public service on a daily basis. So when I see something like this, I just cannot wrap my head around it. I have been wanting to get my thoughts out for a while, but I wanted to get all the facts first, cool down, and really analyze what happened. One of the biggest questions I get asked from students staring nursing school is, “What do I really need for clinicals in nursing school?” Sure, there are lots of fun stuff that you can load up on, but what do you REALLY need? Well, I have been teaching clinicals a few years and here’s my must have top 10 list for nursing school supplies and for your career beyond! Well, another week of health care in the news. Lots of discussions, arguments, heated debates and the occasional cordial conversation on what changes need to be made. From Obamacare to staffing ratios to violence against health care workers…. lots of news these days affecting healthcare. But what I notice is missing – where are the nurses in these conversations?? I see lots of people and analysts discussing how health care needs this change or that one, but where are the front line workers. Oh, yeah….they are actually doing the work. But if there was every a time, it is now – nurses need to be the change. And it starts with me. And you. Nurses Take DC – how you can help! Last year, in May 2016, nurses came together on the lawn of the US Capitol to bring attention to the need for safe nurse patient ratios. It affectionately became known as Nurses Take DC. It was the first rally for nursing in over 20 years when over 35,000 nurses met in DC for the same issues. Well, it is happening again this year on Friday, May 5, 2017. There is still time to attend and you can get more info at Nurses Take DC. I always love the new year – it’s like a fresh start. A blank page. But I also love reflecting back on all the amazing things that transpire in just one year. So many of them we forget, so it’s nice to be reminded. 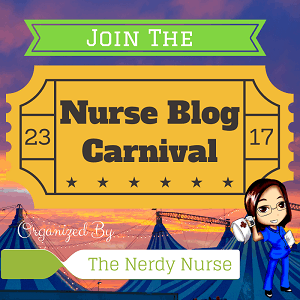 As some of you may or may not know, there are a gaggle of amazing writers, bloggers, and thought provokers in the world of nursing. They are speaking out for those who won’t or can’t and generally just trying to bring our community together in one voice.